Russian Foreign Minister Sergey Lavrov recently visited Mongolia and Japan. His goal was to initiate a real “Eastern turn” in Russian foreign policy. At first glance Russia made an Eastward turn a long time before the West imposed sanctions on the country. However, until now we have seen more of a Chinese pivot and not a full-fledged reorientation of policy towards Asia. Russian Foreign Minister Sergey Lavrov tried to correct this imbalance with a recent visit to Mongolia and Japan. The first stop on the Asian tour was Mongolia. Yes, it's a pretty poor country, sandwiched between Russia and China. But Mongolia is a source of resources such as coal, and even uranium. The country can also be useful as a place to process hydrocarbons that would be exported to China. In addition, Russia will be engaged in the modernization of Mongolian companies, and will give the country a loan of 1 billion rubles. 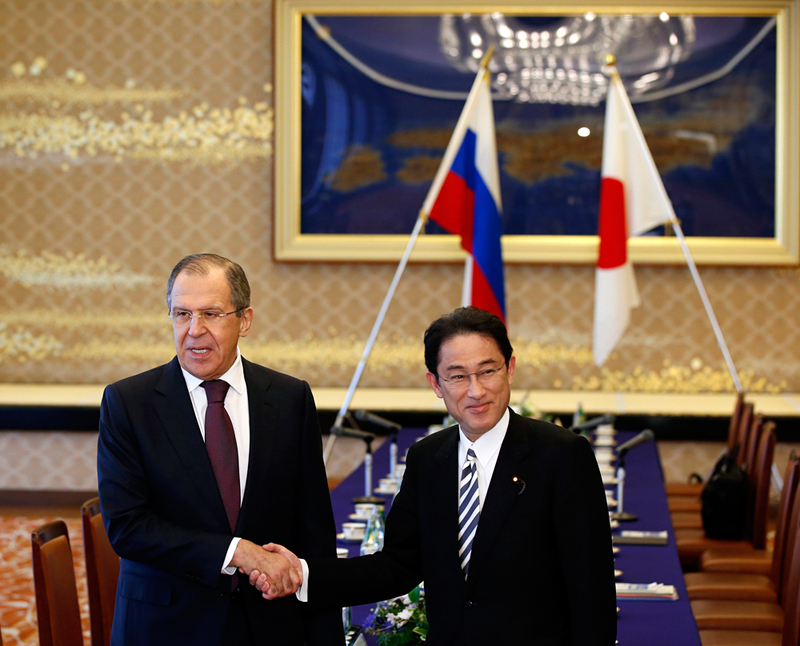 Lavrov’s other destination was Japan, which does not enjoy good relations with Russia. Theoretically, both countries are interested in developing a strategic partnership. Russia can offer Japan energy, resources and a large market. Most importantly, Moscow could offer Tokyo political support in order to balance the growing influence of Beijing in the region. Japan can provide Russia with technology, industrial knowhow, investment and innovation, and also actively participate in the economic development of the Russian Far Eastern regions. “Japan is a modern technological power, and to neglect cooperation with her would be wrong,” says Victor Sumsky, Director of the ASEAN Center at the Moscow State Institute of International Relations. The stumbling block is the absence of a World War 2 peace treaty between the countries. The Kremlin is ready to sign one. “To move forward, we need to improve relations, to remove artificial barriers to the development of cooperation in all fields, including cooperation in the international arena,” Lavrov said. However, in Tokyo there is a condition - the Japanese want the Southern Kuril Islands, which the Soviet Union seized from Japan during the closing stages of World War II. Japan insists on the return of the islands that it calls the Northern Territories. Russia has, from time to time, offered the return of two of the four islands, but Japan insists on the return of all four islands. Tokyo may be ready to accept two islands now and two in the future, says Valeria Kistanova, head of the Moscow-based Center for Japanese Studies. "Progress on this issue (the peace treaty) is impossible without the recognition of Japan's postwar historical reality,” the Russian Foreign Ministry said in a statement. Tokyo stands to gain more than Moscow from a World War II peace treaty. Russia does not need Japanese investment as much as Japan needs Russian help to contain China. Japan’s foreign policy is also closely linked to that of the United States. This is why Tokyo joined Washington in imposing sanctions on Moscow over the Ukraine crisis. “In my opinion, it (sanctions on Russia) is not completely in the interests of the Japanese state and the Japanese people," Lavrov said diplomatically in Tokyo. Apparently, the parties will seek common ground during the visit of Prime Minister Shinzo Abe to Russia. “Contacts within the framework of this visit will give additional impetus to the promotion of the whole gamut of our relations,” Lavrov said. The only foreseeable compromise that Russia can make on the Southern Kuril Island question is to allow Japanese businesses to have special access to the islands while maintaining Russian sovereignty. A special economic zone with tax and other incentives could be created on the islands for Japanese investors. This would be a win-win situation, as Abe could claim that Japanese citizens have access to the islands, while Russia would benefit from Japanese investment.